Chinese storytelling has survived through more than a millennium into our own time, while similar oral arts have fallen into oblivion in the West. Under the main heading of 'The Eternal Storyteller', in August 1996 the Nordic Institute of Asian Studies hosted an International Workshop on Oral Literature in Modern China. To this meeting, the first of its kind in Europe, five special guests were invited - master tellers from Yangzhou: Wang Xizotang, Li Xintang, Fei Zhengliang, Dai Buzhang and Hui Zhaolong. The volume derived from this meeting includes an introductory article written by John Miles Foley entitled 'A Comparative View on Oral Traditions'. 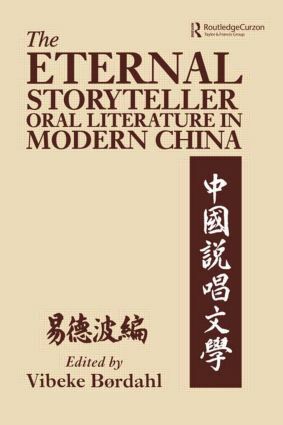 Thereafter, a wide range of topics relating to Chinese oral literature is covered under the headings: 'Historical Lines', 'A Spectrium of Genres', 'Studies of Yangzhou and Suzhou Story- telling' and 'Performances of Yangzhou Storytelling'. However, the present volume does more than include papers derived from the meeting. It is also lavishly illustrated in word and picture from performances by the guest-storytellers. In so doing, the world of Chinese story telling is not just described and analysed - it is also brought to life.